← What’s really going on? Statistics and crime. The entire issue of “transgender” military personnel is again in the news, with the new “ban” announced to take effect in April, as reported by Jewish World Review. It brings to mind some basic questions. Whether the “United States of America” is a republic (as established in the federal Constitution of 1787) or is de-facto an empire, just what is the role of the military forces of the United States? These include the Army, Navy, Marine Corps, Air Force, and Coast Guard, as well as the State’s National Guards, other State military forces (organized militia), and possibly in the future, a United States Space Force or Space Navy. What is their purpose? More to the point, what are they NOT supposed to be? And what were they in the past? Whatg can we learn from the Constitution, the Articles of Confederation, the Declaration of Independence and the various laws and debates related to these between 1774 and 1789? The primary purpose of American military and naval forces was pretty clear and simple. And different from each other: the Navy had a different purpose than the Army, in several particulars. First, to defend, to secure the homeland: the original 13 States (including the vast western territories which were part of them in 1783). (Or at least the areas claimed by the thirteen states.) Defend against what? External threats: not just the British Empire, late master of these States. Any other European power: most notably France, but including Spain – both empires and also like the Brits, monarchies. But it would include any other nations: the Netherlands, the Russian Empire, the Ottoman Empire, even Japan or China. The reality of this threat was demonstrated in the War of 1812. But there were also internal threats, although one group of threats might be considered both internal and external. First, there were various AmerInd nations. The Iroquois Confederation (or League) was a British ally. So were the Cherokee, and other tribes (nations) east of the Mississippi, and especially in the South. These AmerInd threats were viewed (rightly or wrongly) as offensive threats against American settlements, communities, commerce, and transportation. Therefore, in the eyes of people and leaders of the 18th and 19th centuries, the military action was “defensive” in nature. Second, there were internal rebellions. These were seen as two groups. First (and probably foremost) was the slave population and the threat of slave rebellions. These DID occur several times over the first 80+ years of independence. And not just in the South. 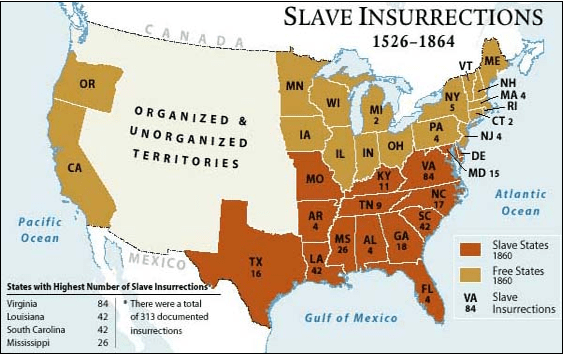 (Slavery was legal in Northern States, including New England. See the commentary “The Fake History of Slavery in the United States”). The other group was harder to define, but included anyone who might be (in modern language) “disaffected.” Like those who fought in Shays’ Rebellion (Massachusetts, 1786-7) and the Whiskey Rebellion (Pennsylvania, 1791-4). And later, such actions as the Harpers Ferry “rebellion” by John Brown (1859). Again, these were all viewed in the era as “defensive” actions – responding to aggression by the rebels – whether free or slave. All of these were the purview of the Army. The Navy, on the other hand, while obviously concerned somewhat with preventing seaborne invasion, was seen primarily as preserving and protecting sea trade: maintaining “freedom of the seas” as the Royal Navy had done. Dealing with piracy, both in New World waters and in the Old World (especially the Mediterranean), was a significant part of the Navy’s duties. Later, the Navy also dealt directly with slavers and against the slave trade. Notice that even the “freedom of the sea” mission was at its heart, a defensive mission. Even in wartime, at least in the American War of Independence and the War of 1812, the naval operations were in support of defense of the homeland. During the Barbary Wars, naval operations were offensive in nature but in response to attack by the pirates on American merchantmen. During the Mexican War, this changed somewhat, with the decision to invade Mexico in response to Mexican aggression against Texas. Naval forces in both the Gulf and the Pacific supported the invasion. However, by comparison, the US Army was used for offensive operations in the War of 1812, with the ignominious and disgraceful invasion of Canada by American forces. The triple invasions of Mexico (South from Texas, the Gulf Coast to Ciudad Mexico, and the invasions of California) were frankly offensive, although technically in support of the defense of Texas. But regardless of the original purpose of American military forces, that is no longer the primary purpose to which American military forces are dedicated, in the 21st Century. It is not a jobs program. It is not a social engineering program or experiment. It is not a welfare program. It is not a right. It is not a privilege. It is not an rewards or awards plan. It is not an internal police force. It is not a path to fame, fortune, political office, or upward social mobility. Please provide your thoughts and feedback! This entry was posted in Nathan's Rants and tagged Empire, government, military, Republic, social engineering, warfare, welfare. Bookmark the permalink. 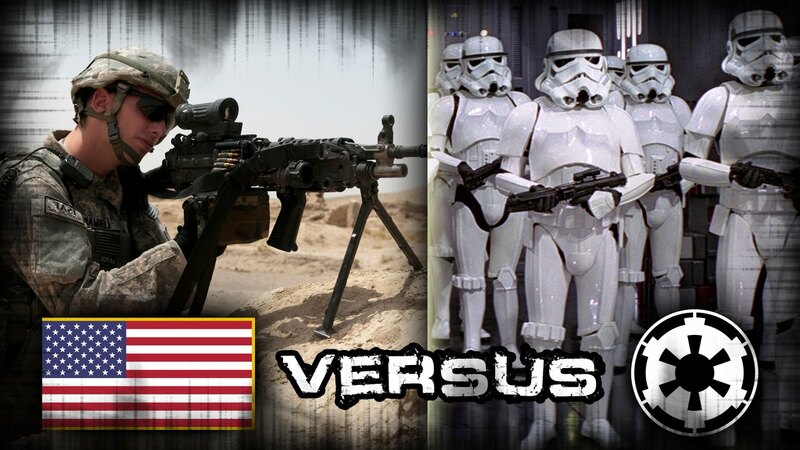 2 Responses to Republic or Empire – What is the American military? The truth of the matter is that we have a military that is about six times bigger than it needs to be. In the future, there will not be any engagements like Iraq or Vietnam. The wars will be nuclear, and will not require any troops; either before or afterward. But winding down the military will not be easy; because there are so many entrenched political interests. I would suggest closing about half of U.S. Bases, and half of all foreign bases. But the question remains; which Congressmen have the guts to do it? The answer, sadly, is none of them. The military currently exists as an independent political entity that does not answer to Washington. And the military will destroy any man who tries to curtail its power or budget. So the first thing that I would do is eliminate the military from the White House Kitchen, and eliminate military helicopters from all Presidential transportation duties. The next thing I would do is move the Joint Chiefs of Staff to the White House, where they will report to the President, in person, every day. They no longer go to the Pentagon. Ron, I appreciate your frustration and understand what you are saying, but have a different understanding of the situation. Closing foreign bases (and more than just half) makes tremendous sense. Closing half of stateside bases does not, even with a massive drawdown of active duty personnel. An active component drawdown should be accompanied by an equal increase in reserve forces, intended for real defense and not for “power projection.” But what is needed is not massive bases that concentrate tens of thousands of personnel and systems – rather, many smaller installations, together with large areas for training. You are certainly correct regarding Congress, but remember that much of what the US military is today is due to Congress. Congress holds the purse strings, and micromanages the budget and much else. One problem with modern generals and admirals is that they are the products of decades of careers which can be totally destroyed by a congressional staffer’s comments or inquiry, and where getting the attention of a member of Congress or Senator is almost certainly the kiss of death. Please elaborate on your concerns and ideas.